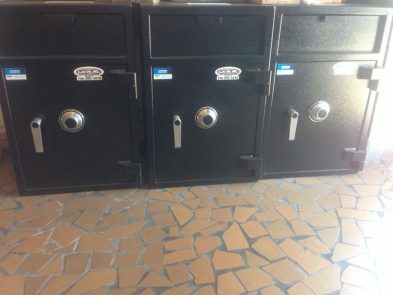 Safes for sale in Augusta. Dixie Lock & Safe Sale - Call Dixie Today! Dixie Lock & Safe - Safe Sale ! 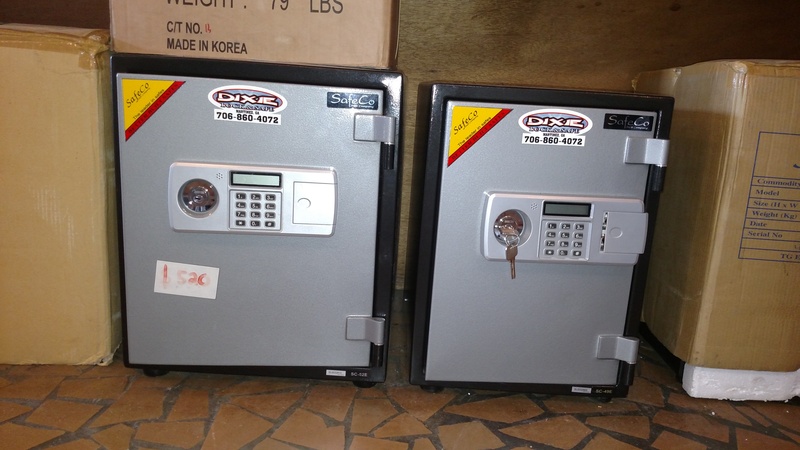 We sell new and used safes. 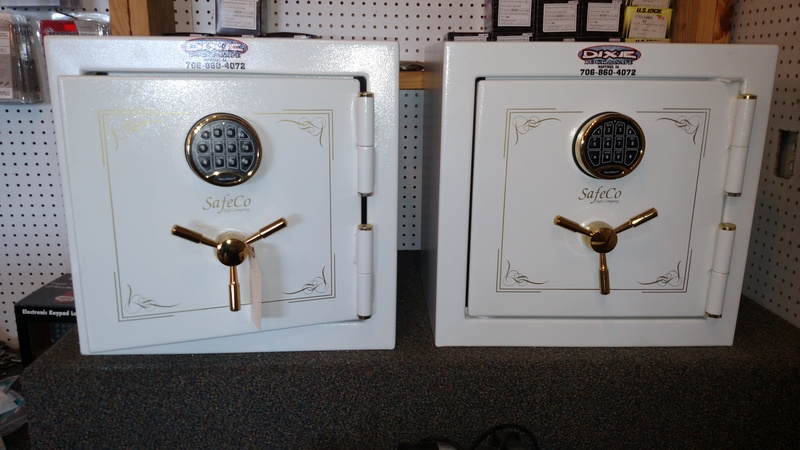 We have older safes we have newer safes, and we can get any new safe on the market. Contact Dixie Lock & Safe to reach a safe specialist to help you figure out what it is you need, or if you know tell us, we'll be glad to help either way. 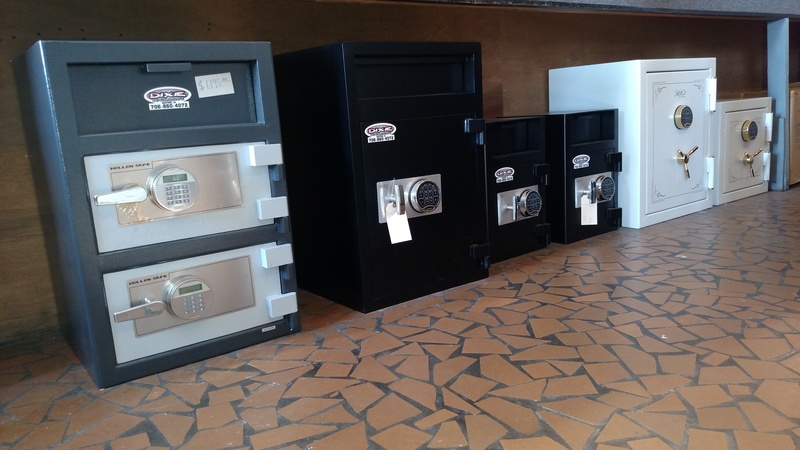 Dixie Lock & Safe sells all sorts of new safes, from those on a budget to those who demand the highest quality & everything in between. If we don't have it we can order it. 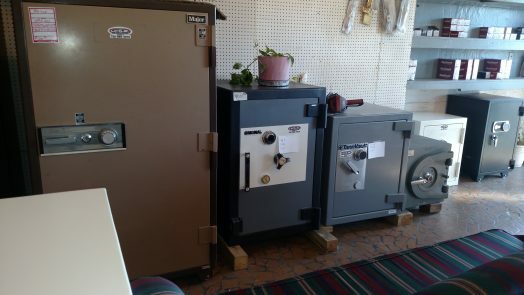 We sell used safes, from refurbished to antique we have it all. Floor safes, wall safes and many others. Visit Dixie Lock & Safe to see what we have in Stock it's always a safe sale at Dixie. All of our used safes are serviced and maintained regularly. Need to secure your daily float and profits? Have employees who don't need access to the safe except for depositing money. How about safes with audit trails that log who uses what password to get in? We can help you with all of this at Dixie Lock & Safe. Call or visit our showroom to find out more. These safes are usually TL rated and also carry a fire rating. These safes can be quite expensive but serve multiple purposes. Great for those who need the best of both worlds. Safes meant for storing documents, media and fire sensitive materials. Usually not designed to store high value items for burglary protection. For protection against both Fire and Burglary please see Composite Safes.